On June 6, Gov. Greg Abbott told lawmakers to prepare to return to Austin. For counties, this means taking a collective deep breath and prepping for round two in the battle to protect local control. The governor’s call for a special session – a convening of state lawmakers outside the constitutionally mandated 140-day regular session – did not come as a surprise to most considering the contentious and divisive nature of round one. Only the governor can call a special session, and only the governor can decide what issues will be addressed. After the Texas Senate ushers through a Sunset bill to keep five state agencies from shutting down – including the Texas Medical Board – Abbot said he will add 19 items to the call, several of which could have a profound impact on Texas counties. 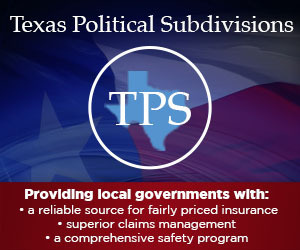 “In addition to the revenue caps proposals under the guise of property tax reform, the governor will submit an issue to limit local government spending to population and inflation, regardless of the increases required by state unfunded mandates,” stated Jim Allison, general counsel for the County Judges and Commissioners Association of Texas (CJCAT). Teacher pay increase of $1,000. School choice for special needs students. Prohibition of taxpayer dollars to collect union dues. Prohibition of taxpayer funding for abortion providers. Strengthening abortion reporting requirements when health complications arise. Strengthening patient protections relating to do-not-resuscitate orders. Cracking down on mail-in ballot fraud. Extending maternal mortality task force. Every legislative session has an issue or two that rises to the top, Allison offered during the North & East Association Conference, which took place during the final weeks of the regular legislative session. For example, law enforcement, water and education have surfaced in previous sessions. For the 85th Legislature, one overriding issue was the budget and the discrepancy between the Senate and House versions. Lawmakers passed Senate Bill 1 on May 27, appropriating $216.8 billion in total spending for the state’s budget during the 2018-19 biennium. Texas Comptroller Glenn Hegar certified the budget on June 1. 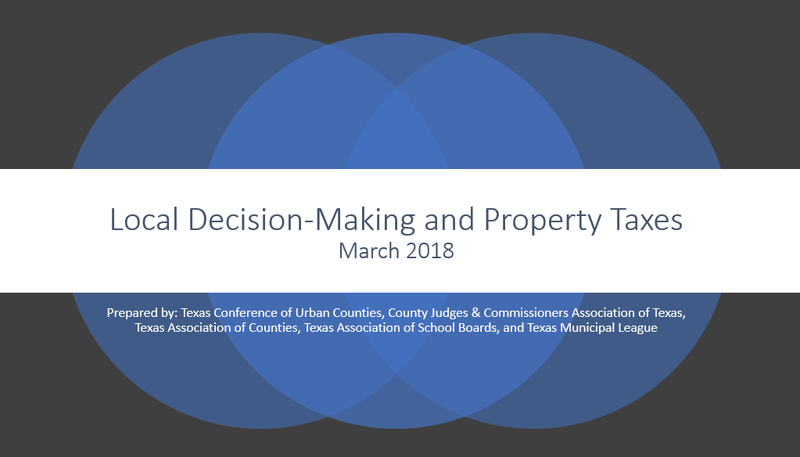 “The other major issue developing in the session concerns the degree of control over local governments to be exercised by the state,” Allison continued during his conference presentation. “While counties are completely subject to legislative control, traditionally the Legislature has recognized the need to allow local discretion, particularly in budget matters. However, there has been a significant change in attitude among some state leaders toward dictating policies upon local governments and mandating services without funding. During the press conference announcing the special session, Abbott referred specifically to S.B. 2 and called for its passage. As during the regular session, the CJCAT will partner with other associations to monitor the special session and communicate county concerns to lawmakers. Allison will provide updates and calls to action on the County Judges listserv and the Commissioners Court listserv. Stay tuned. With the appointment of committees, legislative hearings will begin. Rep. Garnet Coleman has been re-appointed as chairman of the House County Affairs Committee. Sen. Juan “Chuy” Hinojosa has been designated to assume the chairmanship of the Senate Intergovernmental Relations Committee. Some important county bills are listed below with a very brief analysis. We are monitoring many other bills. Remember that bills may change dramatically in committee or through floor action. Stay tuned for further updates. HB 104 by Rep. Gonzales repeals the excessive fees on driver’s licenses. HB 205 by Rep. McClendon requires the state to develop a plan for allocation of sufficient hospital beds for mental commitments. HB 335 by Rep. Stickland authorizes posting of notices on county website as an alternative to newspaper publications. 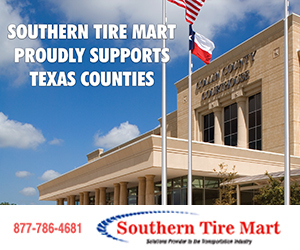 HB 385 by Rep. Thompson / SB 265 by Sen. Huffman authorizes commissioners court to self-insure county officers and employees in-lieu of surety bonds. HB 520 by Rep. Kuempel requires municipalities to fund an autopsy when the body is found within a municipality. HB 563 by Rep. Guillen provides severance tax funding for counties within shale oil and gas development areas. HB 675 by Rep. Ratliff authorizes county regulation of off-premises signs advertising sexually-oriented business. HB 691 by Rep. Phillips authorizes county to regulate location of halfway houses for probationers and parolees. HB 714 by Rep. Kuempel authorizes county to contract with DPS for joint vehicle-weight facilities. HB 761 by Rep. Marquez / SB 170 by Sen. West / SB 456 by Sen. Rodriguez authorizes commissioners court to require residential code inspection before utilities are connected. HB 832 by Rep. Giddings/SB 186 by Sen. Carona authorizes county to abate mosquitoes on uninhabited residential property. SB 300 by Sen. Lucio provides severance tax funding for oil and gas counties. HB 14 by Rep. Pitts / SB 14 by Sen. Williams requires all counties to maintain a website and post financial information; increases requirements for issuance of certificates of obligation. HB 708 by Rep Isaac removes commissioners court authority over approval of deputy constables. HB 777 by Rep White increases axle weight allowance for overweight timber or timber product trucks. HB 958 by Rep. Orr reduces TCDRS rate of return from 7 percent to 5 percent. HB 960 by Rep. Sanford increases mandatory county bond ballot language to require debt and surplus funds information. As the new legislative session begins on Jan. 8, we will again gather for the Texas Association of Counties Legislative Breakfast at 7:30 a.m. every Tuesday to discuss legislative issues. During the period following the general election and the beginning of the session, legislators may pre-file bills. These bills are assigned a bill number, but no further action can be scheduled before the session. HJR30 by Rep. Larson: A constitutional amendment to allow county charters and consolidation of cities and counties of 100,000 population or more, and certain adjacent counties. HJR46 by Rep. Burkett: A constitutional amendment requiring that all county commissioners run for re-election in the election following redistricting of the precincts. SJR9 by Sen. Nichols: A constitutional amendment to establish a 5 percent appraisal cap on residences. HB172 by Rep. Larson: Providing for housing county jail inmates in a tent. HB247 by Rep. Walle: Authorizing noise regulation by certain counties. HB141 by Rep. Raymond: Relating to certain county subdivision regulations. HB211 by Rep. Fletcher: Increasing the county warrant fee from $50 to $75.